There is a short story by one of my favourite Hungarian writers, Frigyes Karinthy in which he introduces two men to us, “One” and the “Other” who have known each other for a decade or so, but have only met a few times. They are acquaintances but not too close. And now they meet again. Hilarity ensues as neither can tell how to address the other. They stand around on the street, having a full conversation trying to avoid saying the pronoun “you”, so that they don’t offend the other. He?! How is that funny? – you might say. Well, in English this encounter would have lasted two seconds, but in Hungarian you can write an entire short story about it, as our language has that infamous T-V distinction, spiced up with some other delicacies. So, let’s get right into it. In many languages, for example German, French, Russian, and so on, there are two words for you: one to be used in formal situations to express respect (the V in “T-V from” the Latin vos), and another one that you can use in informal situations (T, from the Latin tu). Hungarian is one of these languages. See now how Karinthy’s men could have had some issues deciding on the right pronoun? And that’s not even the end of the story! We actually have two V-forms: ön and maga. Technically, they are both third person pronouns (not second, like you) but let’s just leave it at that. The pronoun ön expresses the highest level of respect towards the addressed. In writing, you can also have Ön with a capital ö, just to make it super considerate. Ön is used in formal situations, by officials, etc. Then we have maga. This is used when you want to distance yourself from your speaking partner, a boss might use this with their subordinate. Or, for example, once I emailed one of my university professors, and I used Ön with a capital ö, however, they simply replied to me with maga. And that was perfectly fine given the situation. However, when I addressed my school teachers as a little kid, I did not go around calling them ön or maga, that would have been weird from a child. I just used a kind of auxiliary verb, tetszik in all my sentences when speaking with my teachers. This construction can also be used when talking to an elderly person, especially a kind old lady who you’d like to help across the street. Hungarian speakers have to make the decision on which form to use all the time in everyday social situations, and companies should also have a clear policy with regards to addressing their customers as it can affect their company image. Consequently, Hungarian translators also face a challenge when selecting the correct pronoun. They need to consider the social setting and the function of the text they are working on. Is it an official letter addressed to an employee? A marketing brochure for a hip new product targeting 30-somethings? Is it a young character in a video game talking to an old wizard? There are clues that help with choosing, however, in some cases the translator is not in a position to make the decision, so they might need to go back to the client and ask some questions. 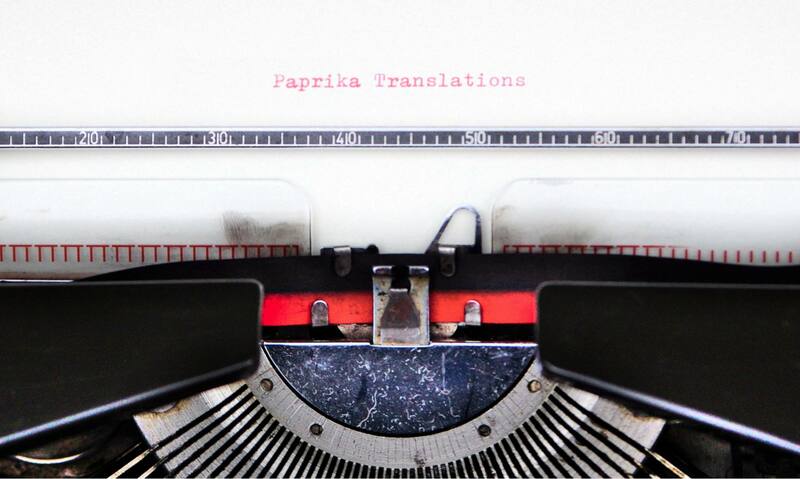 Don’t get surprised if that happens, your translator just wants to make sure they hit the right note with your employees, potential customers and wizards. If you have any questions about politeness and formality in Hungarian or have a text that needs to be translated into Hungarian using the right tone, don’t hesitate to get in touch via my contact form.